Nano shampoo is one of Dr. Proctor's products. Nano shampoo contains NANO and SOD (3-carboxylic acids pyridine n-oxide), a very powerful hair growth stimulator, similar or more powerful than minoxidil. It is easy to use and also well suited for female hair loss. 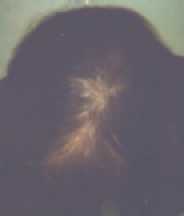 It is a regrowth hair shampoo and should use 2 to 4 times weekly. It is recommended to use Nano shampoo with Prox-N to expedite hair growth. Dr. Proctor is the most famous doctor on alt.baldspot (the American newsgroup on the baldness) and he is one of the most experienced doctors in the fields of baldness and hair loss. He is recognized all over the world for his expertise. He is both a medical doctor and a doctor of pharmacology with over 25 years of experience in this field. Since 1984, he had been developing products for those who have failed to benefit from other types of treatment. Dr. Proctor has at least 7 USA patents for the treatment of the baldness. A physician is exempted from the bureaucratic requirements of the FDA and can use any approved and suitable agent for treating hair loss. In this manner the search for new treatments is facilitated. Anagen's editor believes that this product is one the best shampoos! It cleans and calms irritated scalps, leaving the skin smooth and renewed. It is praised by John Ertel as being one of the best, if not the best shampoo on the market (some years ago). Nano shampoo contains NANO and SOD (3-carboxylic acids pyridine n-oxide a very powerful hair growth stimulator with a high level of safety, according to Dr. Proctor, similar or more powerful than minoxidil). It is easy to use and also well suited for female hair. Who had failed with the minoxidil, have got excellent results with NANO (NANO is contained also in Proxiphen and Proxiphen-N). Nano shampoo is a "regrowth shampoo". Use it 2-4 times weekly. Here are some ingredients : water, PEG Sorbitan Laurate, Cocamidopropyl betaine, sodium laureth sulfate, PEG 150, Disodiumcocoamphodiacetate, NaCl, PEG 150 distearate, laureth 13 carboxylate, panthenol, 3 carboxylicacidpyridine N-oxide (NANO), allantoin, arginine, puper oxide dismutase (copper peptide), fragrance. NANO is contained in the body. Niacin is a precursor. Nano shampoo is a anti-baldness shampoo! The effectiveness of the active ingredients is increased notably by penetrating agents that have been added. It is sold in 8 oz. containers. One bottle lasts many months! It is without doubts one of the best shampoos. 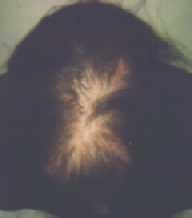 It stimulates growth and promotes the health of the scalp. Dr. Proctor says that it is also active against seb derm, possibly because the SODase is antiinflammatory. Another version is sold as "Dr. Proctor's Hair Regrowth Shampoo" . This is a "light" version, comparable to NANO Shampoo. Dr. Proctor's Hair Regrowth Shampoo includes an abundant supply of the most potent hair growth stimulator available-NANO (3- carboxylic acid pyridine-N-oxide), which is known as "natural" Minoxidil. Dr. Peter Proctor, M.D., Ph.D. is a world renowned authority on hair loss and baldness and has developed unique, patented, multi-ingredient hair formulas that address all the known factors in the balding process. Dr. Proctor's Hair Regrowth Shampoo should be used at least 3 times a week. 8oz.